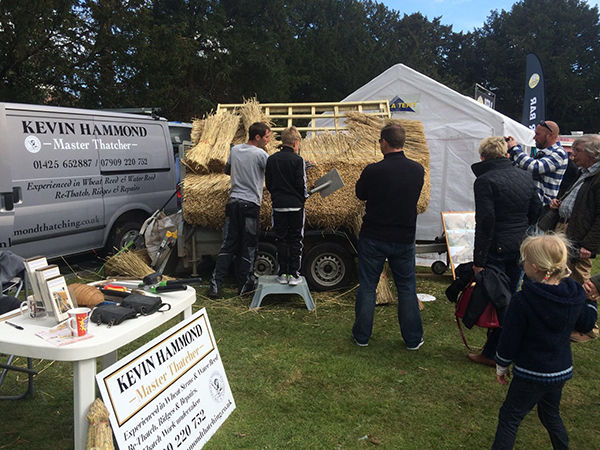 KH Thatching was invited to provide a thatching demonstration at the Downton Cuckoo Fair 2016. Using a wooden base, I replicated the rafters underneath the thatched roof of a cottage. I was then able to use this base to demonstrate to the public how the thatch is put on the roof, but on a lower, more accessible level. 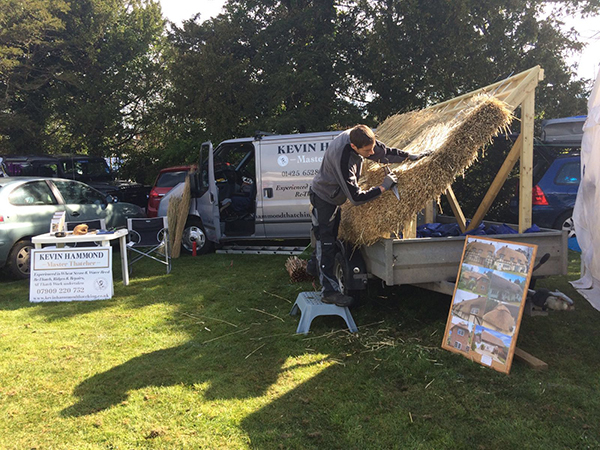 As you can see in the photograph, even some of the children tried their hands at thatching, maybe sparking interest for thatchers of the future.